To create a TARDIS, you first need to craft a TARDIS seed block. 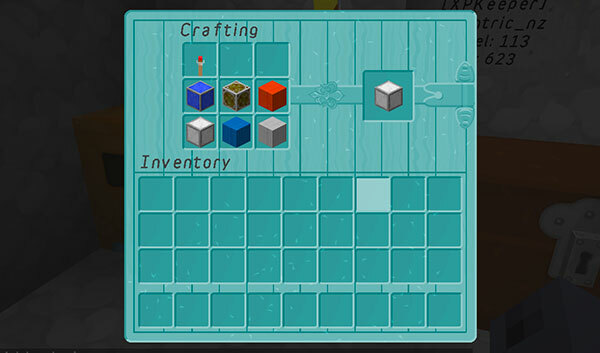 The crafting recipe depends on which version of the plugin you have installed. Versions 2.6 – 3.6.x use 7 items. Version 3.7 and higher use only 5 items. A seed block requires five or seven different components as explained below. You can mix and match your own combination of blocks (19,450,850 different combinations with the default plugin configuration) to customise the appearance of your TARDIS. Once the required and chosen blocks are placed in the crafting grid, a TARDIS seed block is automatically generated. Seed blocks can be placed, broken and dropped and still remain as a valid seed block. Your TARDIS Police Box requires a 3 x 3 x 4 (w x d x h) cuboid region. Where you place the TARDIS seed block will be the center of the Police Box, and will be saved as the TARDIS’s ‘Home’ location. To create your TARDIS, right-click a placed seed block with the TARDIS key. Your TARDIS requires a key, (default is a gold nugget, configurable in the config file). RIGHT-click the door with your “key” and it will transfer you into your new TARDIS interior! This video is now outdated, for TARDIS v3.7 and above do NOT include the exterior wall or lamp blocks! As of TARDIS version 2.6, seed blocks are now the default way to create a TARDIS. The instructions below are for versions prior to that, or if use_block_stack: true has been set in config.yml. To create your TARDIS place any valid TARDIS type block (such as an Iron, Gold, Diamond, or Emerald Block) on the ground. These will determine the size of the inside of your TARDIS as shown in the list above. On top of that place the desired interior wall block. Depending on what kind of block you use in the middle position you will get a different wall material for your TARDIS interior (except the ‘eleventh’ TARDIS which is always grey). The block you use here will also determine the material used for room walls (though you can change this preference later). 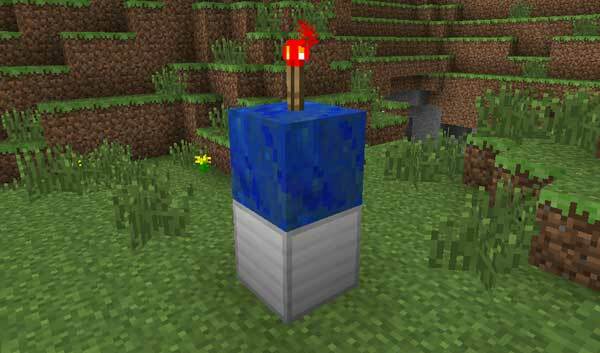 If you use a LAPIS BLOCK (the default) you will get ORANGE WOOL, which in combination with the TARDIS Texture Pack will change to a custom TARDIS texture. and one other secret one! Finally, place a Redstone Torch on top. See the picture below for how it should look.